A string that suspends the weight when digging a well. If it's a vinyl strap, it will burn out quickly, but if it's a twine, it will hold quite. I was able to get it right away. This review is about item#8402484. Although I was looking for a domestic product with a thickness of 7 - 8 mm, I could not find it but I thought that it was a little thick, but the oil smell which I was concerned about did not truly sharpen the nail properly. This review is about item#8402527. I decided after reading the review. I'm solid and I am rolling up with no sense of incongruity and I am very satisfied. It is solidly made, the price is moderate. Convincing products. Roll rework of the cat tower also went well. There are planned repurchase. I purchased it for cat's nail scissors. It's just thick. This review is about item#08402511. Other people have also written, but I also bought it for the nail scissors of the cat. It is hard to explain with words, but first make a loop and roll up with the circle out and finally tie it through the loop, you can roll the end of the rope so it can not be seen. (It will come out if you search by knitted pieces of macramé or rope work) But even if the end comes out, the cat will be there. 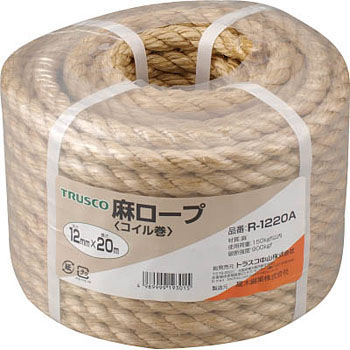 If it is cheap hemp rope hemp fibers can be taken out, but this product is not fine. It smells good and it is a good smell of mameish nature. But it is much more solid than I thought it is a professional feeling. This review is about item#08402502. I am using it for sharpening the nail of a cat tower It 's pretty sweet. I am satisfied with a firm rope. This review is about item#08402527. It is solid and does not slip. This review is about item#08402493.